The marriage of science, education, and technology has been one of the most crucial and critical elements for the advancement of farming throughout history. Research and new discoveries through science have served to create and improve new and better food crops. Education networks such as land-grant colleges, agricultural societies (National Grange, Farm Bureau) and government agencies have served to keep farmers informed and aware of trends and methodologies that constantly change in the complex world of farming. Although application of technology has always been at the core of all farming, it will take on an even greater significance in the new millenium as small farms seek to work smarter in areas as diverse as internet-marketing, innovative packaging and storage, and a plethora of ecologically-driven methodologies. "Being Educated and Educating Others"
Looking "outside the box" and considering new profit centers is a prerequisite to farming success. Not only do new ideas and technologies provide additional sources of revenue and have the potential mitigate the seasonal nature (and income) of conventional farming, they also force farmers to consider cross-technologies and methodologies that might benefit their existing operations.Water-based farming technology that includes hydroponics, aguaculture, and aguaponics are in essence, extensions of conventional farming methods with the same basic inputs. Hydroponics, the growing of terrestrial plants in a nutrient enriched water solution, is a technology that has roots going back literally hundreds of years. Since achieving levels of commercial viability beginning in the 1970's, this methodology now has achieved a high degree of technological and monetary success. 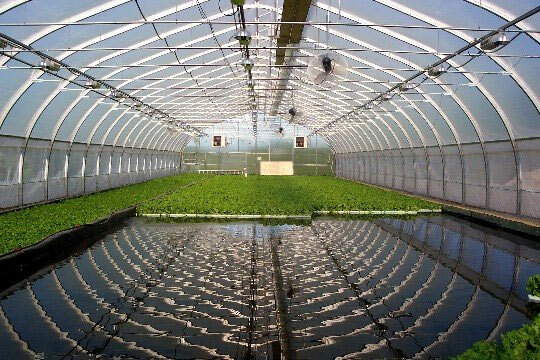 Unlike field growing operations, hydroponics employs a closed system in a controlled environment. If properly managed, these systems can reduce water requirements, lessen or eliminate the need for toxic chemical pest controls and exacerbate IPM effectiveness in crops that do require supplemental controls. Additionally, labor costs for such operations as weeding, tilling, and even harvesting can be reduced significantly. While not currently adaptable to all crop species, this technology is an adjunct worth considering for produce operations that are looking for ways to extend their seasons. It is important to note that some crops such as leafy vegetables, can be grown hydroponically throughout the entire year. In every aspect of agriculture, electronic access to and the capability of storage of large amounts of information levels the playing field. From software to blogs to instantaneous access to the latest research, the shear volume of information available gives even the smallest farmer a "world view" of the industry. With an initial investment of under $500 and internet access, the computer, smart phone, or electronic tablet allows every farmer the ability to troubleshoot, plan, have access to markets and obtain parts and supplies with basically no limits. 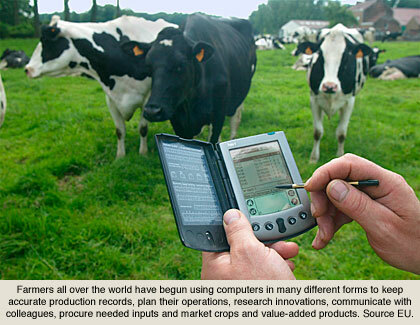 In the new millennium, the computer with its many variations is the most important tool on the farm. Each and every concept of operating a small farm as presented in this website, from the pragmatic to the conceptual, can be researched and discussed electronically. 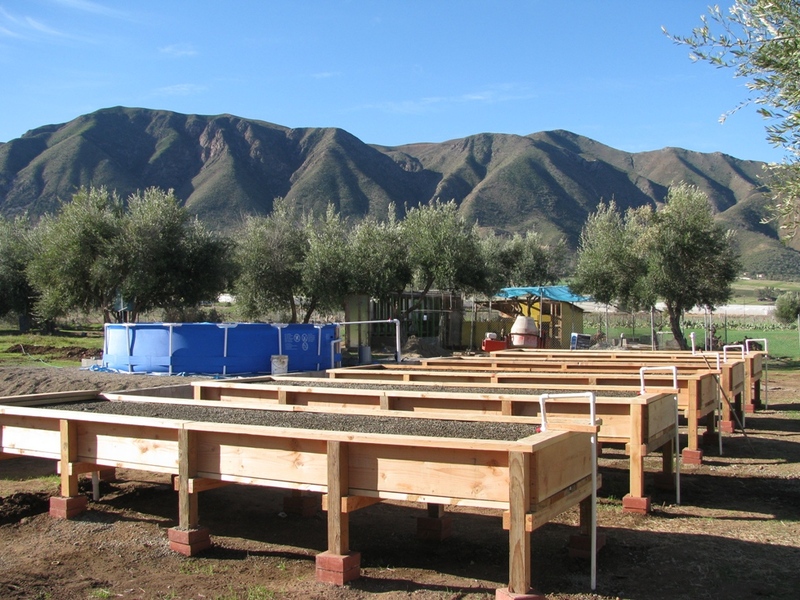 Aguaponics and aguaculture, two technologies that have been tried with varying degrees of success for hundreds, possibly thousands of years, are now commercially viable in many regions of the world. 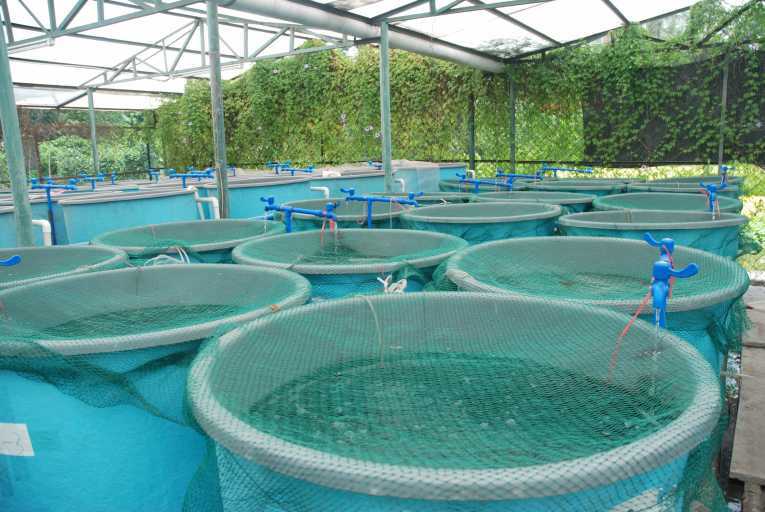 Aquaponics is a true polyculture system in which a subculture of fish and a subculture of plants enter into a symbiotic relationship with the aquafarmer as the catalyst/facilitator. Among the most successful plant species raised in the hydroponic system are lettuce, cabbage, roses, tomatoes, and peppers. To date the most important food fish adapted for this system is the tilapia, with species of perch, cod, and catfish also successful. The New Concept of Grassland Farming: An Updated Version of Oldtime Common Sense. Though the essence of the practice of grazing animals on grassland is as old as agriculture itself, refinements through experiments and research have raised it to a scientifically-based and managed system. The benefits of grassland management and grazing range from economic to ecological to ethical. These benefits are a direct product of the balanced approach employed in this methodology. By examining just one element (in this case: herd size) of a controlled-grazing system, the broad range of benefits can be clearly illustrated. Herd size is matched to the land available for grazing. In turn, outside inputs like reliance on petroleum-based, crop-production for supplemental feed are greatly reduced. 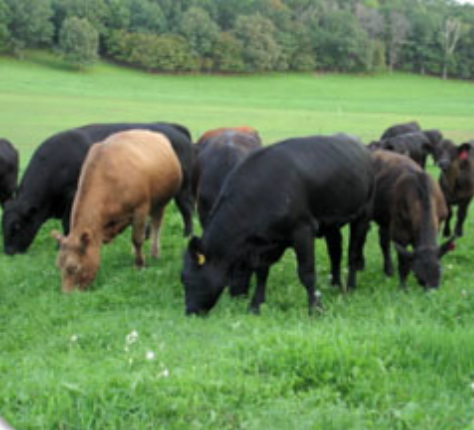 Manageable herd-size facilitates easy movement between pasture sites allowing short but intensive graze periods on actively growing forage, thus eliminating overgrazing. This balanced grazing period further protects the land itself from erosion and structural and elemental deterioration, even down to a molecular level. Criticisms of grassland grazing include the notion that it consumes more acreage to raise an animal to finish than in a conventional feedlot. This is a misnomer, studies have shown that when considering grain production used to finish feedlot cattle is factored in,in fact, the acreage is identical. When other species such as chickens, sheep, and goats are added to the grazing rotation, production actually increases in terms of food/calories produced per acre. While there are many geographical nuances to this methodology, well managed grassland grazing systems are an established and profitable practice in areas as diverse as New Zealand, the southern United States, and Argentina . entirely remove hedgerows and woodlands to gain more tillable acres. An alternative, made possible and feasible by advancements in fencing and livestock containment systems is the adaptation of an old, yet recently modernized methodology termed silvopasture. The practice of silvopasturing seeks to use the assets inherent in woodland (and other marginal land) acres to the betterment of the quality of the herd, to increase productive acreage, control noxious and invasive species, and provide an additional source of forage. In another form of silvopasturing, the farmer intentionally plants trees on marginal land as a “second crop” utilizing herd-feeding, species specific, traits to control unwanted understory growth while enriching the soil with manure. Additionally, the symbiosis created between grazing animals and treed areas in which marketable timber is present can, over a few years, improve the quality of the timber by stimulating forest regeneration through seed and soil scarification, and enhance and accelerate nutrient recycling within the forest. Cornell University studies have shown that the diet diversity provided in a silvopasture setting has direct prophylactic effects in regards to the prevention of health problems often found in grain and conventionally forage-fed animals. In terms of pure economics, the US Forestry Service has illustrated that by distributing long-term management costs between farm (livestock) and timber components overall production costs per acre are significantly reduced and market flexibility and diversity are exponentially increased. (15) (16). - Outside inputs that cost money are minimized through the practice of monitoring closed nutrient cycles and interceding in these cycles only when the balance becomes skewed. Further monetary gains can be realized by employing a plethora of technologically-backed biological and cultural practices in lieu of massive prophylactic doses of synthetic pesticides. The history of the modern concept of soil testing dates back to approximately 1845 England when crude analytical methods were developed to understand and evaluate the chemical composition of soil. 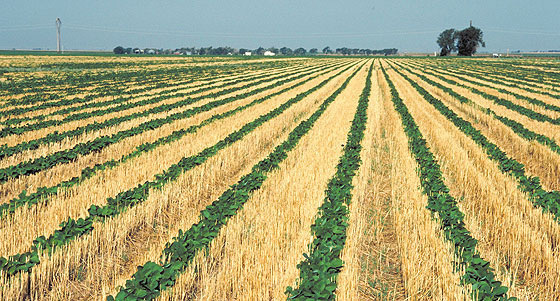 Until the recent advent and acceptance of the sustainable and organic farming movements by mainstream land-grant colleges and government entities like the USDA, soil testing centered on the mineral and inorganic elements present and available in the soil ,with little focus on soil as a living, breathing, organic entity unto itself. Biological soil testing and evaluation recognizes the soil as the most complex and important component within any context of the concept of sustainable agriculture. In perspective, there is no machine or supercomputer in existence that can equivocate the literally millions of processes and reactions that occur in the micro-realm (to the molecular level) that composes the organic components of the soil. Soil organic matter and microbial activity are the main parameters associated with biological soil testing and evaluation. Once these evaluations are made, farmers can employ a wide and varied range of practices that include crop rotations, cover crops, green manures, composts, rock minerals, and if needed microbial inoculants to ultimately improve soil health and productivity. Small farms with limited acreage, where land-stewardship is all-important in order to maximize production, serve to benefit the most from this technology. Additionally, the concept of accepting the stewardship of any land should be tied to the morality of leaving the soil healthy and alive for future generations of farmers. (22)(23)(24). Understanding the Soil as a Living Entity. The Organic Farm: The Inevitability of a Once Controversial Methodology.